Viognier (pronounced vee-on-yeah) is known as the exotic and hedonistic white wine. Full-bodied with perfumed aromas of apricots, honey blossom and peach, this is a distinctive wine and it’s made a seductive comeback after its close call with extinction. If you like bold Chardonnays, then this is a grape for you. It’s slightly lighter in style but has a delightful perfume that makes it hard to forget. No one knows the exact origin of Viognier, however, legend has it that the Roman Emperor Probus brought it to the Rhône Valley in France in 281AD from Croatia in order to replace vineyards destroyed by Emperor Vespasian after the locals revolted (apparently from drinking too much of the native wine!). Plantings of Viognier declined significantly at the start of the 20th Century as it’s one of the trickier grape varieties to grow; it’s susceptible to disease, doesn’t always give a very reliable yield and it needs just the right amount of sunshine to ripen fully. By the 1960s, there were only 35 acres of this vine planted in the world and these plantings were exclusively in two French Appellations in the Rhône Valley where Viognier is the only permitted grape; Condrieu AOC and the one winery, Château Grillet AOC. 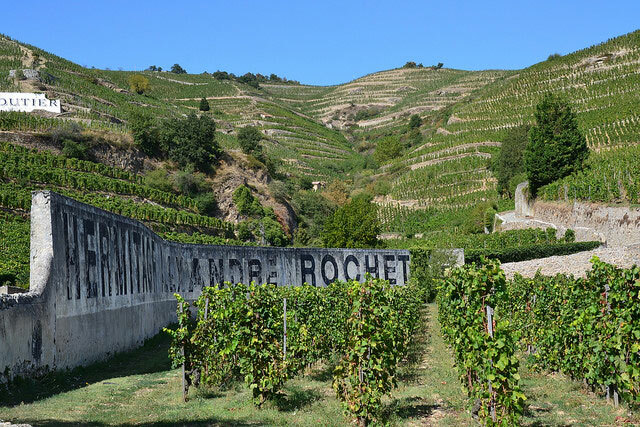 Meanwhile, the Côte–Rôtie region in Northern Rhône had started mixing a splash of Viognier in with its signature Syrah (also known as Shiraz) red wines. They found that adding Viognier during fermentation helped stabilise the wine and gave it an aromatic kick of violets. 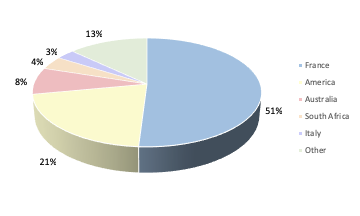 The region now allows up to 20% of Viognier to be added (but in practice it’s usually only around 5% that’s actually used). The New World winemakers, being fans of the more experimental methods of winemaking, got wind of this resurgence in Viognier and wanted in on the action. Viognier was planted extensively around the world during the 1990s, with the most significant plantings in South West of France, Australia (Yalumba in the Barossa Valley championed the way), South Africa and California. As a grape, Viognier is one of the trickier grape varieties to grow. It’s naturally low in acidity and needs a lot of sunshine to full ripen and develop, but not too much otherwise the alcohol levels are too high, and the beautiful aromatics of this wine are ruined. Viognier flourishes in warm climates where there are cooler periods at night to maintain the acidity in the grapes. When the grapes ripen, they are a deep yellow and they produce a golden wine that is high in alcohol. Your nose may trick you into thinking that this going to be a sweet wine, like a Muscat, however, Viognier is predominantly a dry wine. It’s a full-bodied and luscious wine with peach and honeysuckle aromas that will keep you coming back for more. You will find the punchier Viognier wines can be up to 15%ABV, so if you prefer a lighter and leaner style of wine then look for a lower ABV. 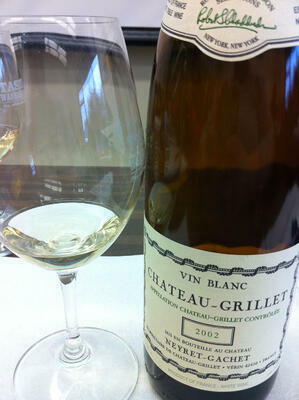 Viognier wines are meant to be drunk young and chilled, however, Château Grillet AOC wines do have ageing potential. They are aged for up to two years in new oak barrels, giving an oilier texture with a richer, creamier taste and aromas of vanilla and nutmeg. This is a food friendly wine and goes well with spicy Asian foods due its natural sweetness and aromatics. 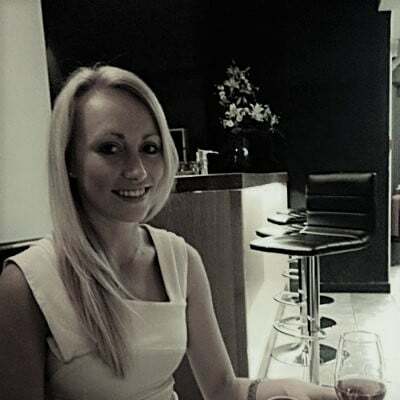 Sarah was educated in wine by her sister who had spent a summer working on a campsite in Burgundy in France and she realised there was more to wine than just the boxes of cheap wine she was drinking at University! Back in the UK she went on to open a wine bar with her sister and was nominated in the top 100 most influential people in the UK drinks trade by Harpers. Currently Sarah is over in Hong Kong with her husband, they are enjoying exploring the amazing bars and restaurants here and the opportunities to travel in Asia!